From the acclaimed author of The Gone-Away World – a new riveting action spy thriller, blistering gangster noir and howling absurdist comedy: a propulsively entertaining tale about a mobster’s son and a retired secret agent who are forced to team up to save the world. All Joe Spork wants is a quiet life. He repairs clockwork and lives above his shop in a wet, unknown bit of London. The bills don’t always get paid and he’s single and has no prospects of improving his lot, but at least he’s not trying to compete with the reputation of Mathew ‘Tommy Gun’ Spork, his infamous criminal dad. Edie Banister lives quietly and wishes she didn’t. She’s nearly ninety and remembers when she wasn’t. She’s a former superspy and now she’s… well… old. Worse yet, the things she fought to save don’t seem to exist anymore, and she’s beginning to wonder if they ever did. When Joe fixes one particularly unusual device, his life is suddenly upended. The client? Unknown. And the device? It’s a 1950s doomsday machine. And having triggered it, Joe now faces the wrath of both the government and a diabolical South Asian dictator, Edie’s old arch-nemesis. 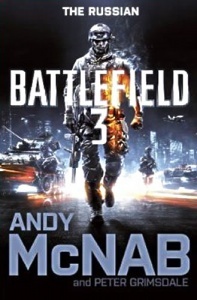 …brilliantly entertaining, and the last hundred pages are pure, unhinged delight. Book features : Navy blue boards with gold-coloured author and title text on spine and marbled endpapers. Jacket features : Part matt, part gloss laminate finish. Overall condition : Fine / Very fine – some minor pushing to spine ends. 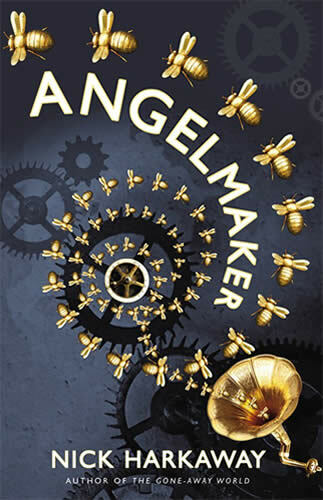 The UK edition of Angelmaker, published 02 February 2012, is the true first edition of this book, as the US edition was not out until the 20 March. For more information, you might like to visit Nick Harkaway’s website. 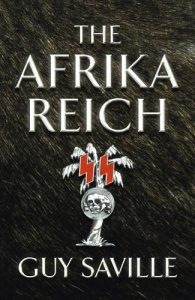 This is a rich source of info on his life, books and future projects.